Those learning to use medicinal plants often wonder about herbal tinctures versus tea. Both are quite effective as herbal medicine. However, there are times when you may prefer one over the other. Both herbal tinctures and teas can be purchased or easily made at home. They can be made from single herbs or made from a formula of herbs. Both can be used for a wide range of ailments. Let’s look at the advantages of each. One of the reasons people look to herbal tinctures versus tea, is that tinctures are convenient. They are made up and can easily go in a purse or pack. Simply put drops under your tongue or put drops in liquid such as water or juice. Dropping tinctures in a liquid is especially helpful for those unpleasant tasting or extremely bitter herbs. By diluting them, the flavor is better tolerated and it’s more likely that you will stick to your herbal protocol. Since teas have to be taken in a much greater amount than tinctures for similar therapeutic results, poor tasting teas are usually quickly ignored. It should be noted, that if you are taking a tincture for its bitter attributes, it needs to taste bitter to be effective. Once a tincture is made, it will last for several years. Tinctures use less plant material than teas. Teas need to be made each day, or at least every two days with the second day’s tea stored in the refrigerator. 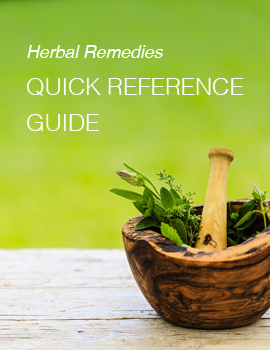 Some herbal compounds are only extracted in alcohol and are not water-soluble. This includes resins such as myrrh and pine. Essential oils and many alkaloids are also not water-soluble. In general, tinctures are taken for acute situations. They are fast acting since they go directly into the blood stream. Tinctures can be taken for longer-term chronic conditions as well. Since only a very small amount of alcohol is taken with each dose, alcohol consumption is not a worry. For children or those sensitive to alcohol, tinctures can be made with glycerin or vinegar. Neither have the shelf-life or extract as many medicinal compounds as alcohol tinctures. Herbal teas are often enjoyable to drink. Sipping on a nice, soothing cup of tea is relaxing. A tea formulated for insomnia is lovely to drink before bed. They can be formulated to taste good too, no matter what type of ailment they are formulated for. Anyone of any age can drink herbal teas. They are excellent medicine for children and those preferring to avoid alcohol. Teas can be made right away, whereas tinctures require four to six weeks to extract the medicinal compounds from plants. Pre-made tea bags can be part of a travel first-aid kit. Water-based teas are better at extracting certain compounds such as polysaccharides and mucilages. They are well-suited for extracting valuable minerals from plants. Teas are slower acting than tinctures and best suited for chronic conditions, changing the balance of the body over time. They can be used in some acute cases too such as for soothing a sore throat. Teas can help to provide liquids to the body when they have been lost to diarrhea or fever. A hot tea can also be used to help sweat out a fever. You may find that it is not always herbal tinctures versus tea. There may be times when you want to start with a tincture to address a situation right quickly and then move gradually to teas for longer-term care. You may also want to start with teas while your tincture is extracting. Some herbalists simply prefer to work primarily with tinctures or primarily with teas. You will find as you become more experienced that you often reach for one more than the other. This is part of your herbal leaning journey. When a tincture is already made and is on hand, it can be used without waiting. Tea for a longer term use, right? But then when factoring the time it takes the tincture, wouldn’t be worthwhile to at least give the tea right away? Or am I not understanding the time needed for making the tincture?